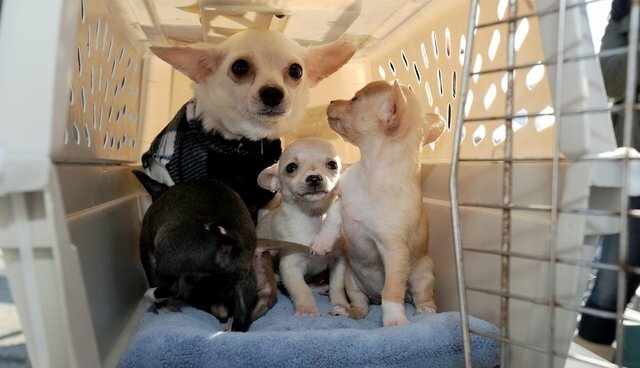 Wings of Rescue, a nonprofit organization based in Van Nuys, California, has saved the lives of 6,500 dogs since 2009. The organization's mission is simple: rescue healthy dogs from high-kill shelters, where they face near-certain euthanasia, and fly them to points northwest for a second chance at life -- in rescue centers, humane societies or new homes. 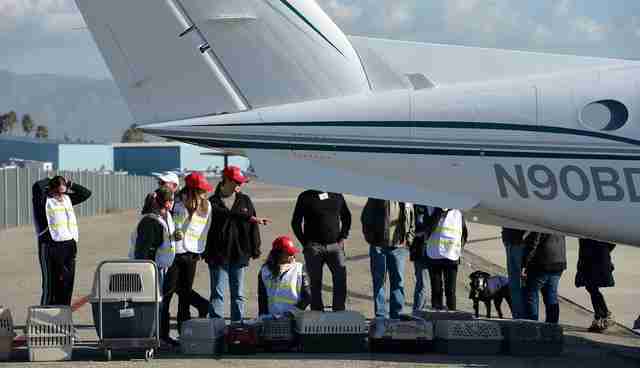 Each winter, Wings of Rescue organizes a massive holiday airlift that relies on generous donations from aviators and animal-lovers in Van Nuys, who have repeatedly offered up private planes to transport rescue dogs to Oregon, Washington, Idaho and Montana. 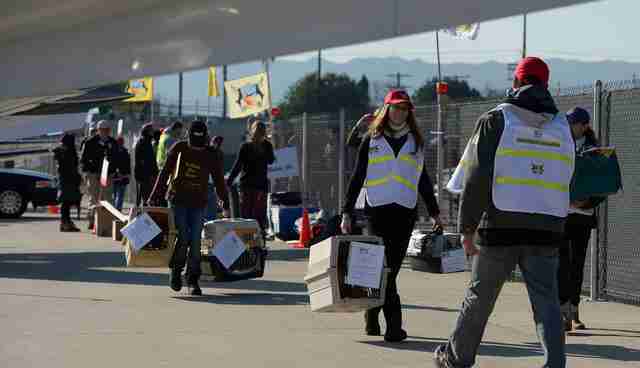 This past December, the organization's third annual holiday airlift successfully transported 500 dogs on more than a dozen jets to cities across the Pacific Northwest. 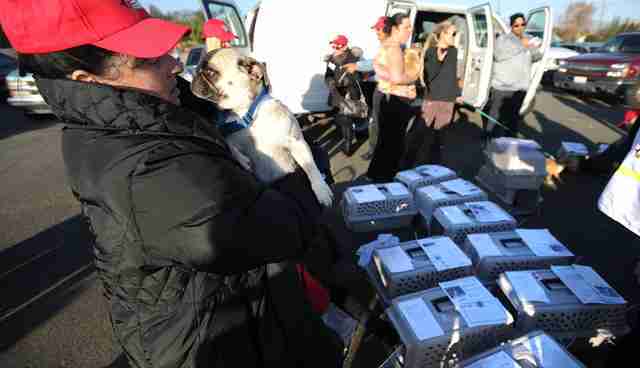 The Los Angeles Daily news was there to capture the event, while volunteers from 120 different rescue groups waited patiently on jetways to sent the pups off to their new lives. 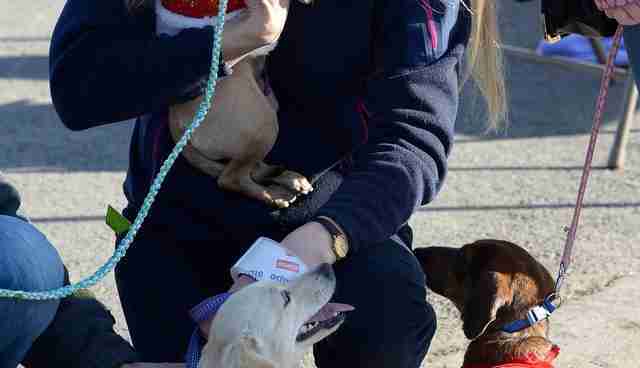 "We either do it or the dogs die," said Wings of Rescue co-founder Yehuda Netanel. "The choice is clear." Photos by John McCoy, Los Angeles Daily News.